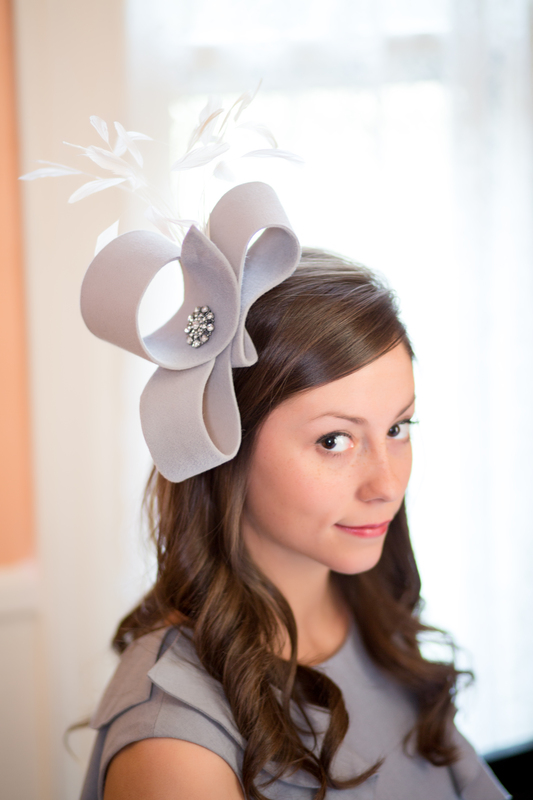 Shades of Gray is a fascinating work of art. 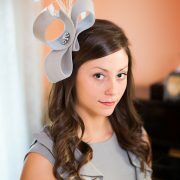 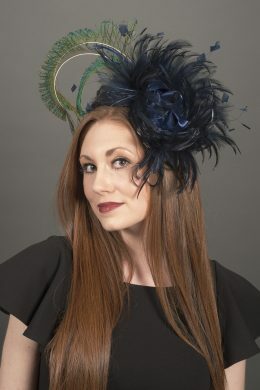 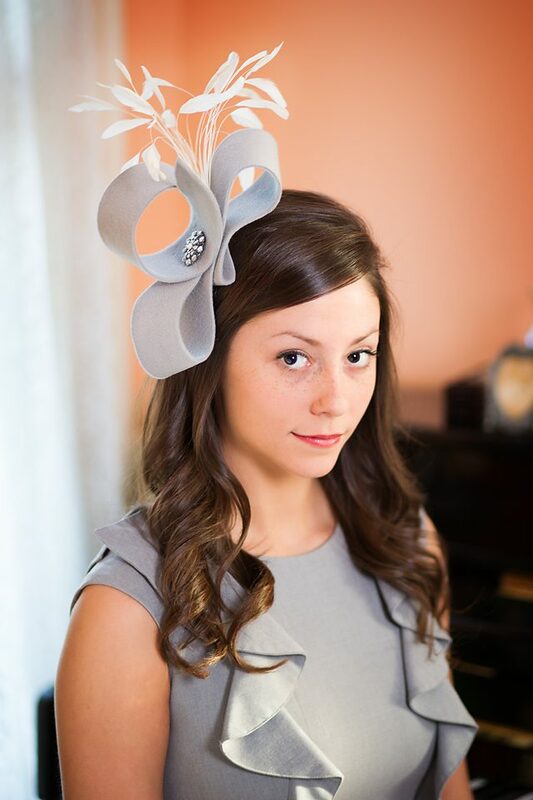 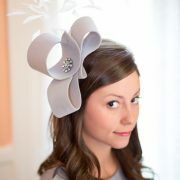 Inspired by vintage hats, this hand sculpted fur felt fascinator is light and easy to wear. 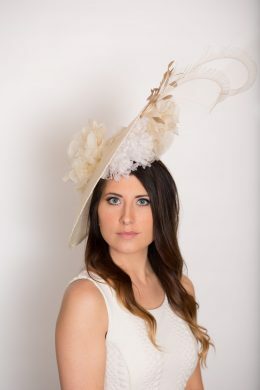 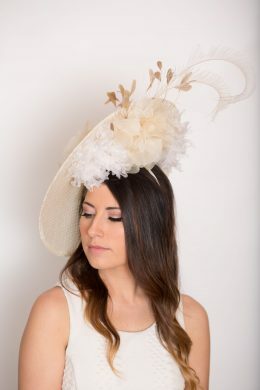 Ivory coque feathers spray out of this creation with an oversize rhinestone vintage style button. 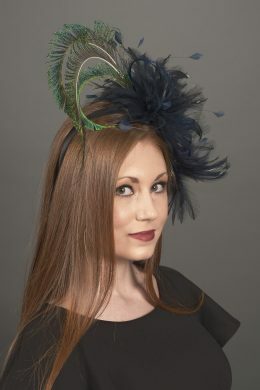 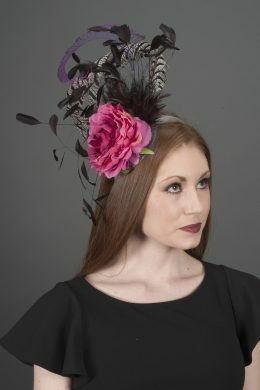 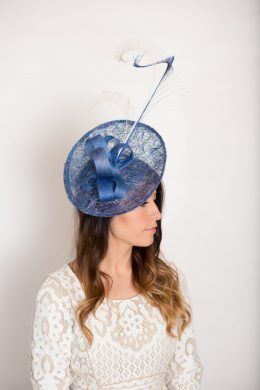 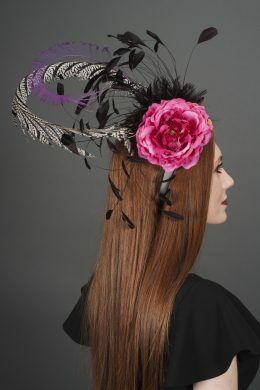 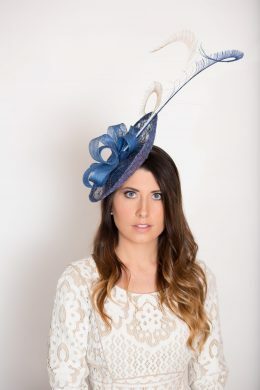 Wear this to a wedding, Breeder’s Cup or any black tie event where you want to be the envy of all!